Tumblr is a short form blog that allows users to post multimedia content. It made a splash this month when it was acquired by Yahoo! for 1.1 billion dollars. Keith Haring died before the commercial internet captured the popular attention yet it’s not hard to imagine the artist embracing it. Haring kept a journal that documented his life and his work. One could imagine these details on a Haring blog. That concept is now reality. 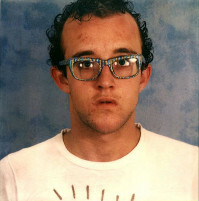 The Keith Haring Foundation has started to publish the artist’s journals on Tumblr. The Foundation plans to post the complete series from 1971-1989. Some of the pages already online were featured in the Brooklyn Museum’s retrospective, Keith Haring: 1978-1982. The popularity of that exhibition prompted the Foundation to publish them. Haring is no longer with us but you can still follow his thoughts as they pop into his head and appear on the contemporary internet.